Priyanka Chopra must be feeling so proud and happy as her first production won three National Awards at the 64th National Film Awards - Best Director, Best Editing and Best Sound Mixing. 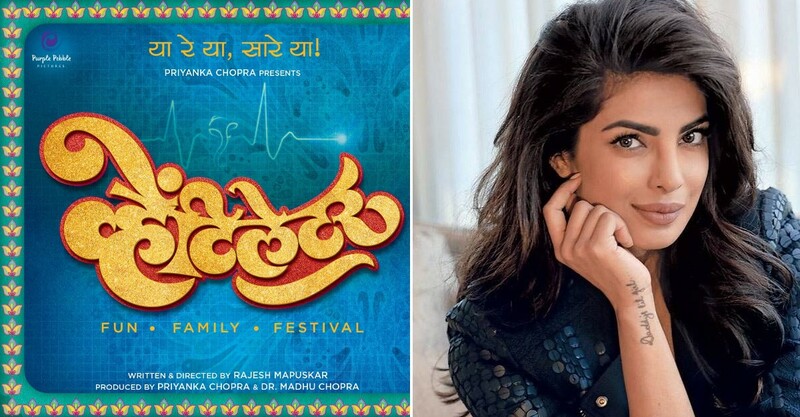 Her first production venture, Marathi movie “Ventilator” is selected to be screened at the New York Film Festival. On this thrilling experience, she said, "I did not anticipate any award for any of the films I have made. I have never made films for awards or acted in films for awards. Eventually, I have always treated awards as a sign of encouragement, but they can't dictate the films you make." The movie is a comedy-drama helmed by Rajesh Mapuskar and produced by Purple Pebble Pictures (Priyanka’s production house). She is feeling extremely happy as she is the only actor-producer in Bollywood industry who won a National Award for her debut film. When it comes to making, she says that the movie was a difficult one to make and without the support of the whole team, it wouldn't be possible. Also, it was her mother, Madhu Chopra, who gave her the news of Ventilator winning the National award. She says, "My mother is here visiting me right now (in the US) as I am finishing Quantico 2 and I'll be coming back to India in ten days. She woke me up at five clock saying Ventilator has won three awards and I was supremely excited. I remember when I won my first National award for Fashion, I was in New York when I got the call. So, in a way, it was like deja vu to be woken up with news of winning a national award." She stated that winning three awards is definitely an occasion of celebration and once she is back in India, she will have a party with the entire cast and crew of Ventilator. 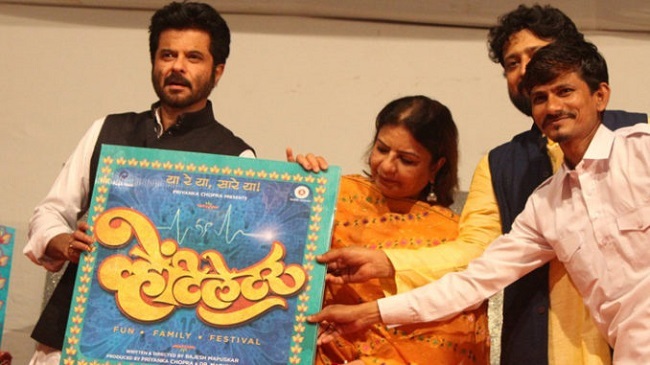 Talking about the story, it is about a joint family who witness their eldest and the most respected family member going in coma right before the festival of Ganesha Chaturthi. With such plot, Priyanka felt the relatability as her late father Ashok Chopra was going through a similar situation in real life. She says, "When Rajesh narrated the story, I wanted to make it for my father as he was on ventilator. The entire scene was pretty much like the film. We laughed on that a bit. I am happy and proud the film has won three awards and there is a sense of achievement for me, my company, my mother who is a backbone of the company as she handles business and I handle the creative part."